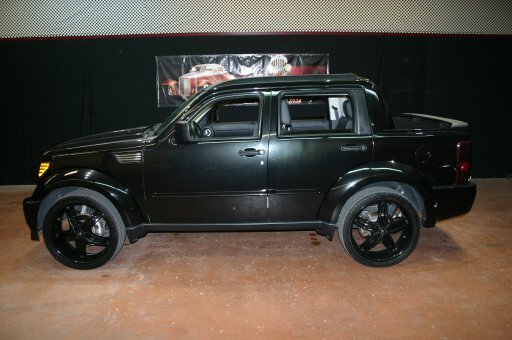 Just Toys Classic Cars is proud to present this awesome looking 2008 Dodge Nitro. You don't see many around that look this clean and have this little bit of miles on them. This is one of those cool rides that you can show up to the club in or at the country club with your friends and this will turn heads. Being that this car only has just about 29k miles on it the paint just looks flawless. You can see in this black paint miles deep. Between the black paint and the black wheels this car is just sweet. The interior just continues on with being flawless. You will not find any rips or tears in the seats or the headliner. What would you expect with a car that only has this little bit of miles on it. The air blows ice cold in this beauty and everything runs and drives perfectly. There is even a full size 22" matching spare tucked up under the rear end of this car. So if the unfortunate circumstance happens that you have a flat, you have a matching wheel to put on and not some mini spare. Folks, what else can we say, this little SUV just screams cool. You need to have this in your garage today and be showing off in it tomorrow. There are not many out there like this and you need to be the only person on your block with one. Contact Just Toys Classic Cars today. We offer financing for anyone that would like to take advantage of the option. We look forward to speaking with you soon, and we look forward to making you the newest member of the Just Toys Classic Cars Family.